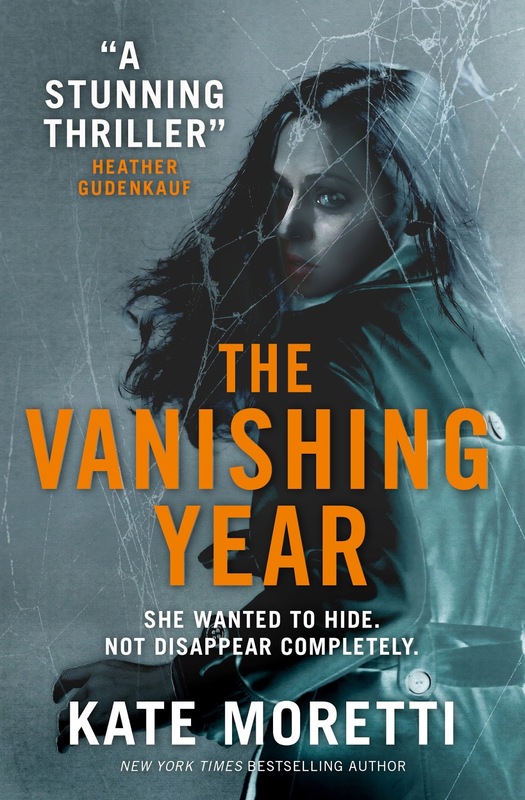 Today as part of Kate Moretti’s The Vanishing Year blog tour, author Kate Moretti talks about The Thrill of Domestic Suspense. When I started writing suspense, I realized I was more attracted to the kind of drama that occurs inside your own home. For a while, I thought this was maybe just called family drama, but I’d had a hard time finding books that fit this narrow-seeming genre. A handful of Dean Koontz, some romantic suspense authors like Lisa Gardner, JD Robb, Karen Robards were selling by the zillions but their books were more about sexual tension and life and death. I read Gone Girl, and like most of America went whoa. It’s not that the genre had never been done, it’s not even that the idea of a missing woman was even all that revolutionary. Gone Girl did three things to really make the book community sit up straight. 1. It was incredibly well-written, and the social commentary was excoriating. Brutal and accurate, as evidenced by the controversial Cool Girl passage. 2. It brought the danger inside the house. With only one live POV and a diary, we got a very skewed version of what the Dunne’s marriage was like. This kind of dichotomy was compelling and suspenseful. 3. It turned the damsel in distress on its head. This accounts for at least 50% of the success of this book, in my mind. Not that no book has ever tried to have a female villain, but very few have done it so brilliantly and coldly. In 2011, I started writing a book called Binds That Tie, which is a couple in a trouble marriage that accidentally kill a man and instead of calling the police, they bury the body. It was alternative point of view, and a few people told me, “you can’t write women’s fiction from a man’s point of view”. So I doubted what I was writing was women’s fiction. But I didn’t have a name for it. Now, in 2016, the market is exploding with the kind of books that I adore. Deeper psychological implications, untrustworthy narrators, plot twists, and creative structure (think All the Missing Girls, by Megan Miranda). I read a glut of books this summer, from Emma Cline’s The Girls, to Lisa Jewell’s The Girls in the Garden, The Widow, by Fiona Barton, Pretty Girls, by Karin Slaughter, and the upcoming The Marriage Lie, by Kimberly Belle. All of these books had a single thread in common: they focused on the dangers in our own ordinary lives, our own neighborhoods, and in many cases, our own homes. For me, this kind of story ups the ante: the suspense feels immediate and very personal. Sarah Weinman calls these stories Domestic Suspense. I don’t know if she coined the term necessarily, but she’s certainly had a hand in re-popularizing it. I’ve tried to figure out why we, mostly as women, seem so drawn to this genre. I think we’re drawn to this idea that we could be our own protagonist. We’re not FBI agents or homicide detectives (although some are, I’m sure! ), we’re not in Witness protection, we’re just ordinary women. We have kids and families and PTA meetings and carpool and girls nights out and bachelorette parties. The appeal isn’t the external threat of danger. These gripping, fantastical stories could happen to us. And that’s the thrill of it. Zoe Whittaker is living a charmed life. She is the beautiful young wife to handsome, charming Wall Street tycoon Henry Whittaker. She is a member of Manhattan’s social elite. She is on the board of one of the city’s most prestigious philanthropic organizations. She has a perfect Tribeca penthouse in the city and a gorgeous lake house in the country. The finest wine, the most up-to-date fashion, and the most luxurious vacations are all at her fingertips. What no one knows is that five years ago, Zoe’s life was in danger. Back then, Zoe wasn’t Zoe at all. Now her secrets are coming back to haunt her. As the past and present collide, Zoe must decide who she can trust before she—whoever she is—vanishes completely. 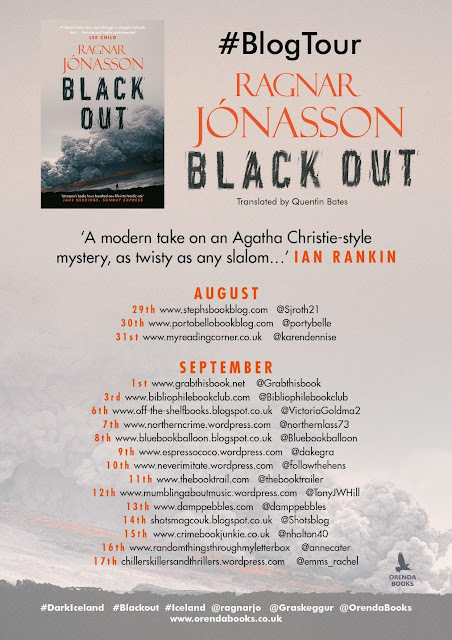 As part of his Blackout tour author Ragnar Jónasson answers questions about his new book. Q. Blackout is set during the most recent volcanic eruption in Iceland, which grounded flights around Europe. Were you affected by it? Is the population of Iceland concerned about volcanoes in general? RJ: Almost everyone in the capital region was affected by this eruption, even though it took place in the south, because of the volcanic ash which really polluted the air for a considerable period of time. The worst day in Reykjavik was actually the day described at the beginning of Blackout, when the sky literally turned black. I think it’s safe to say that the population is aware of the threat of the volcanoes, rather than being concerned. Q. In Blackout, you introduce a new protagonist, who features alongside Ari Thor. Will we see her again? 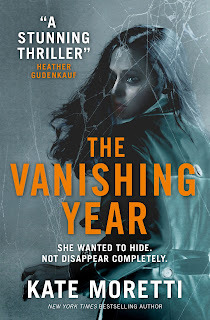 RJ: Yes, indeed, Ísrún will return in Rupture, where she is working on investigating a murder and kidnapping in Reykjavik while also helping Ari Thor with his investigations into a cold case up in Siglufjordur. Q. Your series has been sold in at least 15 languages so far. Did this come as a surprise? How did you feel when Snowblind entered the bestseller lists in France during publication week? RJ: I was really pleased to see Snowblind enter the bestseller lists in France, and every single territory we’ve sold the books to has been a cause for celebration. I’m so proud to see the books reach audiences in new countries. The latest one is Morocco, in July, which I believe is territory no. 14. Q: You investigate some dark, topical themes in Blackout. How accurate are they? Do you believe that good crime fiction should expose corruption and other societal wrongs? RJ: I don’t think there is any specific rule in this regard for crime fiction, each book needs to be judged on its own merit. 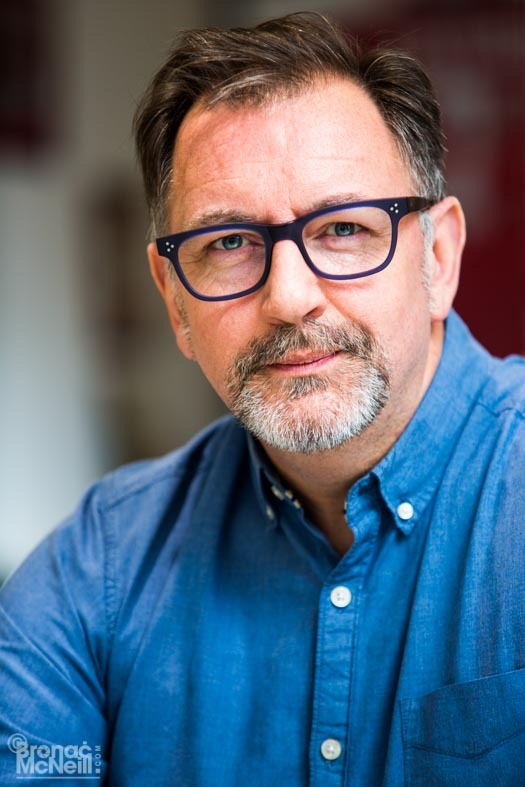 In my series I however usually feel it necessary to tackle social issues in one way or the other, perhaps in an attempt to make the narrative believable, as the books are set in a very peaceful country. With regards to accuracy, Blackout is completely fictional, so the crime story is in no way based on real events. Q: You translated 14 Agatha Christie novels into Icelandic long before you began writing your own crime series. Were you heavily influenced by her work and Golden Age Crime? RJ: I think I must have been influenced by Christie to some extent, as well as by other Golden Age writers which I’ve admired. I try to make the plots plausible yet surprising, it’s important to me to have some sort of a twist in the end, and this was an important feature in the Golden Age. Also, it’s important to play fair to the reader. Christie was also brilliant at setting, whether it was a snowbound country house or the Orient Express, and in my books I’ve tried to make Siglufjordur, the setting, as vivid as possible. Q: You have a new TV series coming. Can you tell us a little about this? RJ: The TV rights to the Dark Iceland series have been acquired by On the Corner, the producers of Academy Award winning documentary Amy. They have a very clear vision on how they want to bring the stories to the screen, so I feel confident that Ari Thor and the series are in good hands. 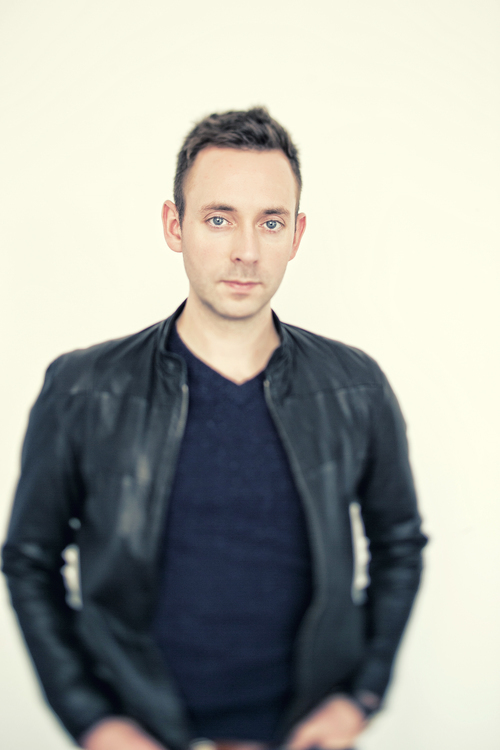 Q: There are two more titles in the Dark Iceland series to be published, and you have a new series, beginning with Dimma. Can you tell us a little more about the new series? And will you be back with Ari Thor? RJ: The new series deals with a policewoman, Hulda, who is 64 years old and about to retire at the start of Dimma, so the first book is essentially about her last case, an investigation into a cold case, the death of a young asylum seeker in Iceland. As to Ari Thor, who knows. 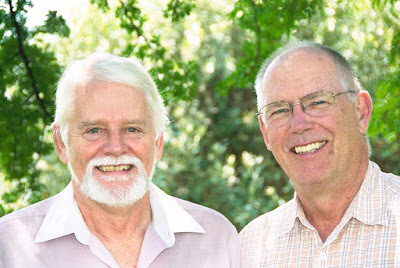 Shots are delighted to welcome back to the blog the two writers Michael Sears and Stan Trollip who write the Detective Kubu Mysteries collaboratively under the name Michael Stanley. 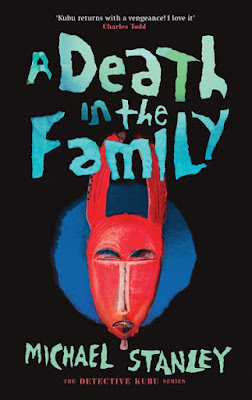 The latest novel is A Death in the Family. One of the reasons we set our novels in Botswana is that it gives us the freedom to explore issues in southern Africa that are not driven by the aftermath of apartheid in South Africa. Each of the books is set against a background that is significant to the people of the region and hopefully provides the impetus for an intriguing mystery. For example, our previous book, Deadly Harvest, focussed on the use of human body parts for black magic and the witch doctors who murder to get them. It was the Director of the Botswana CID who encouraged us to write about these so-called muti murders because, we believe, he was frustrated by the police’s lack of success in solving them. Our new book, A Death in the Family, revolves around the growing Chinese presence in southern Africa and its impact on the region. The idea for this mystery came in a different way. Stanley was on a trip through northern Namibia and Botswana. In Namibia, he noticed that even the smallest towns had a Chinese-owned shop. He also saw several instances of local Namibians joking with the Chinese and receiving the cold shoulder in return. When he crossed to north-west Botswana and drove between Katchikau and Goma Bridge—a road we’ve driven several times before—he found the road now paved, with no economic reason justifying the upgrade. Then he saw a new, small village next to the road—a Chinese village—protected by a barbed-wire fence. This was a scenario ripe with possibilities for crime writers! After that we spent a lot of time trying to understand what was actually going on. It turns out that Botswana has had problems with the Chinese. Big Chinese companies had won a variety of contracts for public works; some were successful and others not so much. For example, the new airport terminal building contract was awarded to a Sinohydro, a Chinese, state-owned company specializing in hydro engineering. The company ran out of money and asked for more. The government refused, so the building wasn’t completed. Eventually, in a bad storm, the nearly-completed terminal was flooded when parts of the roof blew off. As the joke goes, at least most of the water didn’t leak out of the structure! Eventually the government of Botswana cancelled the project, and shortly after Sinohydro pulled out of Botswana altogether. There is a different aspect to the story that is interesting. Chinese companies are certainly making a big play in Africa, often leveraging cheap government money and aid packages. They use as little local labour as possible, preferring to bring in their own people. Sometimes those people stay on, seeing Africa as a continent where they can prosper even if initially things don’t look encouraging and the locals are not overjoyed by their presence. In his book China’s Second Continent: How a million migrants are building a new empire in Africa, Howard French describes a journey around sub-Saharan Africa speaking to Chinese people about their views and experiences. He has the powerful advantage of speaking the languages from many years living in China reporting for the Washington Post. He has also lived for many years in Africa. The people he interviews range from a single man without much capital trying to farm in rural Mozambique to people working for big Chinese companies in Ghana. What he finds is not the construction of a new empire in a political sense, but rather a wave of immigration to what the settlers see as a continent of opportunity in commerce and farming. Like early European settlers to Africa, these are not people who expect instant wealth or luxury. Quite the contrary: they have a long-term view. In the meanwhile—as they tell French—Chinese people can ‘eat bitter’, that is they can make do with very little, seeing a better future for themselves and their families. Surprisingly, some felt that the countries to which they’ve immigrated are much less corrupt than China. language with as few outside contacts as possible. As Stanley observed in Namibia, this can’t make for good relations. However hard the Chinese work and however bitter they eat, the locals can hardly avoid turning on them for their success, if nothing else. In A Death in the Family, we place a Chinese-owned mine near the small, historic village of Shoshong. The mine wants to expand, but the local people are suspicious. They are also divided: the older ones wanting to maintain traditional ways; the younger wanting jobs. At the same time Detective Kubu is struggling with the death of his beloved father, who is fatally stabbed while walking one night. The director of the CID warns Kubu to keep away from the investigation—anything he does may taint the case—but Kubu finds this impossible. He tries to concentrate on another case involving the apparent suicide of a senior official at the Department of Mines. The more he digs, the more he comes to believe there is corruption in the Department—with links to the mine in Shoshong. The director thinks Kubu is meddling in his father’s case and sends him off to New York to deliver a paper at Interpol, but mainly to get him out of the way. But even there the trail is not cold. Eventually the trail involves the CIA, one of the local Shoshong leaders, and, of course, the Chinese. You can find more information about the authors and their work on their website. You can also follow them on Twitter @detectivekubu and you can also find them on Facebook. I know it’s a hackneyed old cliché, but I have to admit that writing about stuff you know and have a passion for is incredibly useful. Take it from me, the idea that any of my central characters would have a passion or influence in their lives that I didn’t have a foggy about is too terrifying to even contemplate. Plus, while you are at it, writing about a subject you are drawn to makes the process way more fun. So when it came to picking an important influence in the life of my central character, ambitious, young thief Danny Felix, I chose movies. In fact I’m probably a bit obsessed by them. Okay, okay I admit it...I’m a Movie Geek. And so, now, too is Danny Felix. My writing career actually started when I became the film critic for a woman’s glossy magazine in my native Northern Ireland. I was already doing the same thing for BBC Radio Ulster, and as I was being invited to junkets and film events, turning my interviews with actors and directors into written articles seemed like a natural progression. We also share another all time favourite in the shape of Ridley Scott’s classic science fiction noir Blade Runner. This film has quite simply enchanted me since I was 14 years old. The look, the atmosphere, the plot, and the performances… everything about it is just fabulous. I have a habit of deciding not to trust anyone in the creative industries that hasn’t seen it. It’s that important to me. In Standstill, Danny uses it help him ruminate the challenge of the robbery he is about to attempt. For him it’s a meditation…and it is for me too…funny that! Another film that pops up is The Outlaw Josey Wales but I don’t want to give away how, except to say when I wrote that bit I was trying to be funny (you can be judge of whether I pulled it off or not). Both Westerns and Clint Eastwood have been a huge influence on my creative tastes. I grew up nicking my Dad’s battered old paperback Westerns. I read them as quick as I could, especially as I knew I wasn’t meant to be indulging in such adult fiction. I was 11 years old at the time, and all the bloodshed and loose women in books such as George G. Gilman’s Edge series were just irresistible to me. It amazed me how the cover illustrations looked a bit like Eastwood in the Spaghetti Westerns…how did they get away with such a cheap gimmick? And then of course there’s Dirty Harry… how could any self respecting crime writer not love the maverick cop who spawned millions of copycat characters? So is it cheating that I partially filled my book with stuff about the films I love? I think not. I wrote them in to help explain who Danny Felix is and how his mind works. Also films can act as a shorthand for the reader. I’m not highlighting Swedish Art house films from the 1960’s. I reference movies that, as a crime fiction fan, you will probably have seen or at least be aware of, and there is enjoyment to be had in discovering how a writer, and in turn his characters, interpret those movies. Plus I was only fulfilling the cliché…write what you know. 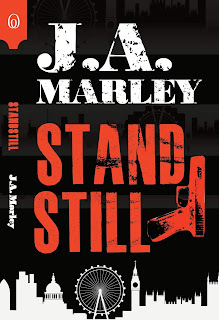 Standstill by J.A. Marley is published 15th September by Avocado Books, price £6.99 in paperback original. 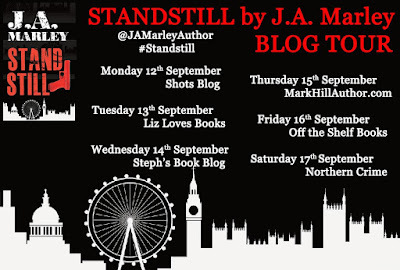 Pre-order Standstill in eBook now, for just £1.99. More information about the author can be found on his website. 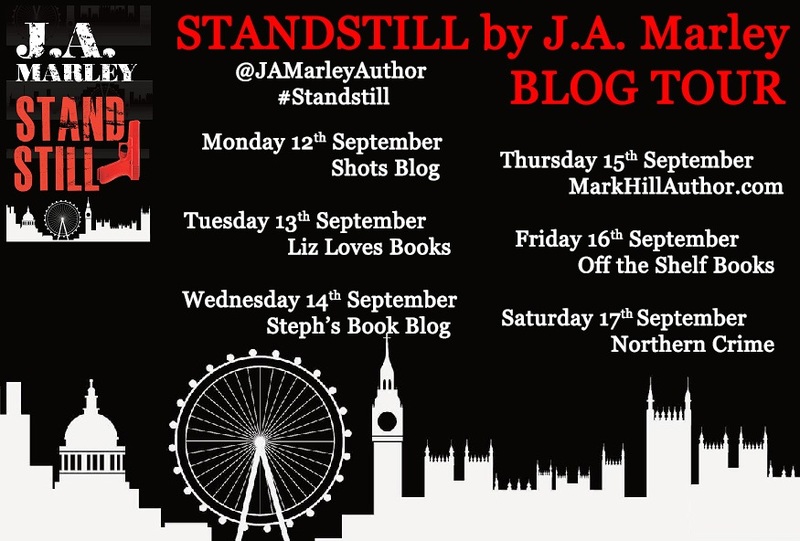 You can also follow him on Twitter @jamarleybooks.